When a group of friends in Colleton County, South Carolina, set out for a kayaking trip on Saturday, they were likely anticipating exercise, camaraderie and a lot of fresh air -- all the best that nature has to offer. What they got, however, was arguably one of the worst hands that nature can deal. As one of the friends, a 28-year-old man whose name has not been released, was paddling down the Edisto River, a rattlesnake fell from a tree overhead and landed in his boat. The venomous snake then bit the man twice on his hand before the man's friends were able to capture it. According to CBS affiliate WLTX, the man's friends transported him to an area known locally as Bobcat Lane, where they called 911. An ambulance arrived 12 minutes later and rushed him to the nearby Colleton Medical Center, where staff administered anti-venom and placed him in the ICU. However, the man's condition had reportedly worsened quite a bit in transit. On Sunday, he was transferred the Medical University of South Carolina in Charleston. 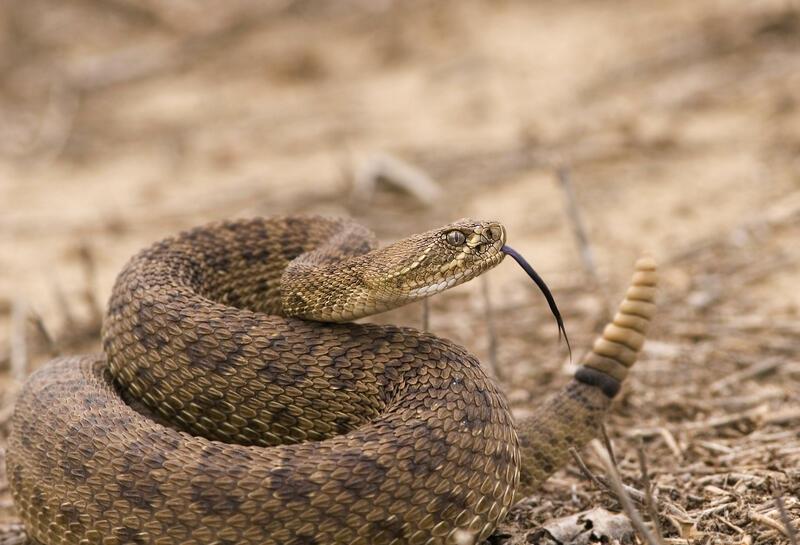 While rattlesnake bites are not necessarily fatal, venom is harmful to the nervous system and can cause blood to clot, leading to heart attack or stroke. Alternatively, rattlesnake venom can also inhibit clotting, a phenomenon known as anti-coagulation, which can in turn cause excessive bleeding. For those reasons and others, the time between snakebite and anti-venom treatment can be a game-changing factor.